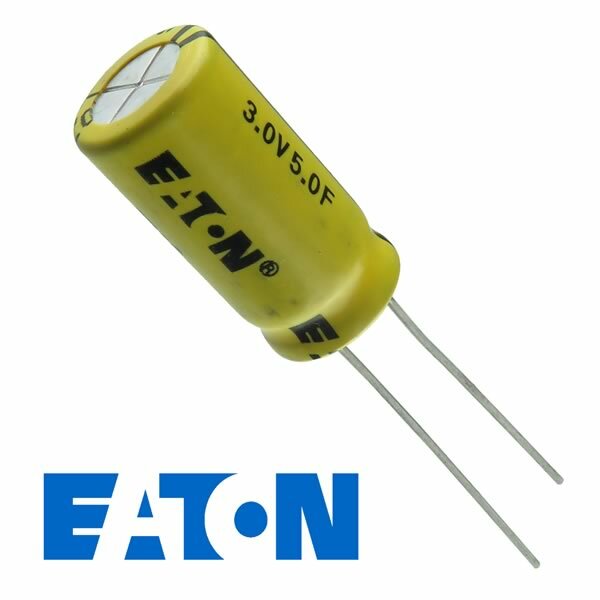 Powerful super capacitor by Eaton is rated 5Farads @ 3VDC. This can replace batteries, power robots, memory backup, power LEDs, and increase bass response in audio applications. Size 0.82" tall x 0.39" diameter. Has full length radial leads. Brand New!